The Eritrean regime has arrested Suleiman Hajj and Jaber Dere’e. Suleiman Hajj was the mayor of the city of Mendefera, and the deputy to the regional administrator of the South Zone (“Zoba Debub”), Mustapha Nurhussein. Mustapha, along with Abdella Jaber, who was the Director of Organizational Affairs for the ruling party, PFDJ, was arrested last week. 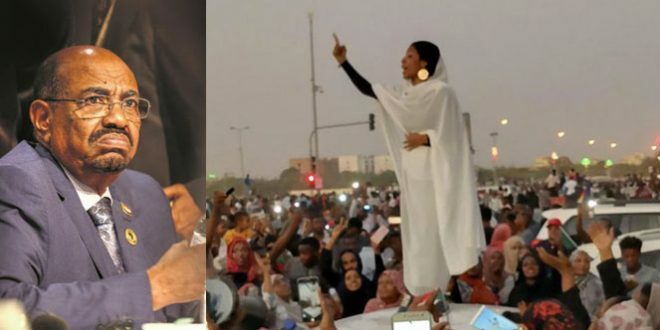 On Sunday, the arrest of Abdella Jaber and Mustapha Nurhussein was confirmed by a representative of the pro-Isaias Afwerki Eritrean community in Okaland, California to a regime-friendly Paltalk room. 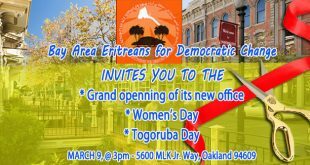 He stated that he, along with other “community leaders”, had gotten the directive to do so by the Eritrean embassy in Washington, DC. Suleiman Hajj was Eritrea’s ambassador to Saudi Arabia shortly after Eritrea’s independence. As Mayor (or “administrator”) of the city of Mendefera, he functioned as the number 2 to Mustapha Nurhussein, with whom he had a close working relationship. 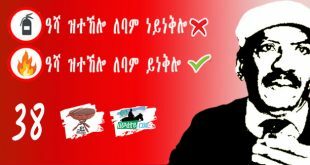 Jaber Dere’e was the representative of the ruling party, PFDJ, in its embassy in Saudi Arabia. 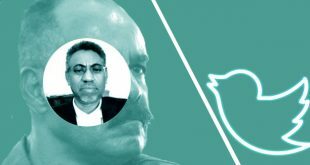 (a) In the cliquish PFDJ system, Ahmed Haj Ali has two relatively strong friends who would warn him from associating with “undesirable elements”. 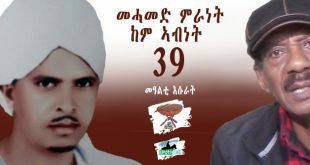 One is Yemane Gebremeskel, the Chief of Staff of the Office of President, who solidified his friendship with Ahmed Haj Ali from their days as fellow EPLF activists in Italy in the 1980s. The other is Simon Gebredengel, the deputy National Security director, who is a close friend from their days as students in Russia in the 1970s. 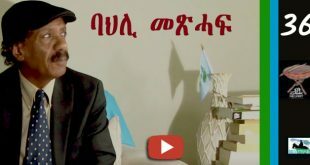 (b) He does not get into “turf wars” or “power plays.” His ministry is essentially run by others: the de-facto Minister of Mines is Hagos “Kisha”, the Director of Economics Department for the ruling party; the de-facto Minister of Energy is Col Wedi Bayru. There is no new information on the engineers of the January 21 movement. The Eritrean regime claims that there were 5 individuals who led the siege of the Ministry of Information and that four have been arrested and one was killed in a shoot-out. Gedab News is unable to confirm this information. 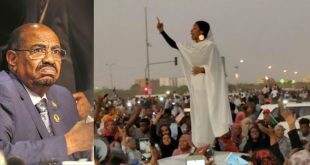 Our sources in Sudan say that some members of the January 21 movement have begun crossing the border to Sudan. hello there, some times its better to call white, white and black, well black. It is my opinion that it is good that the so called failed coup in Eritrea happened, it will at-least be a reminder for the rule of law and most importantly the implementation of the constitution, but what we are hearing now regarding those involved is a very disturbing angle, i.e. if it is true that a Muslim group with in the leadership tried that then, it was better if it didn’t happen, ‘cos this brings another angle to the infighting with in the leaders of Eritrea,and that is the religion angle, if that was their motivation then they should all be hanged be made an example so that no Muslim can harbor such ambitions, Eritrea is a country for all religious groups but it is the Christians who can be trusted with running the country, since if you look back at history about jebha we all know what was their objective. From my sources in Eritrea, the government is cleaning house of all those who stand in the way of real economic and political reforms. All those who over these years have engaged in corruption and what not. Additional changes will come over the next year as well (shortened national serve, new young leaders, ease in mobility, etc). Stay tuned. the last part of my last comment is very immportant. The only way Iseyases closest circles are going to keep defecting him is if they see a future in life after him. Future doesnt necessarily mean having power, its about safety for them. But if we keep preaching hate and revenge, they will just stay strong. So I ask, Awat.com and assena.com or any other oppostion website to have a coordinated postive propoganda. Anything that will divide, whats already divided should be avoided. And thats only achieved if they have a coordiated effort and reject articles that will divide us. Its not anti free speach, we just have to be pragmatic to save our collapsing country. I beleive that we always have to think about the human nature if we have to have a clue of what may happen. 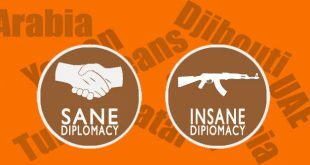 I comapre the Eritrean situation with that of Assad in Syria, Assad and his Allawite circle have so much blood in their hands, they all know that giving up power, or anyhow losing influence is like comitting suicide. inorder to avoid that, they will do anything. If they have to kill one million people, or if they have to divide the people on a religious lines….literally anything. When we come to Eritreas case, by now every body knows that these guys have so much blood in their hands. No just after 2001, but all the way from the start of the independence war. And to aovid losing power (death in their language, though the Eritrean people are always forgiving) they will do anything. But what does this “they will do anything” mean in out prespective. 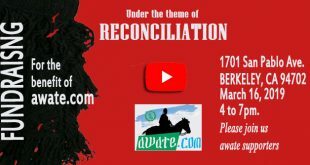 Its means, arrest, divide the people in religious and regional lines, pour all the income of our gold mines to their cause of preserving their power…….the least goes on and anyone can think about it. And that will lead to a divided and failed state. Just like what all the haters of our mother land wanted it to be. To avoid these, we should counter act these forces of evil that will destroy out beloved country. And we do that by staying together, forgving people like Ali Abdu, so that other officals will follow him too. This is the time to think beyond our emotions. Always revenge is not the solution. 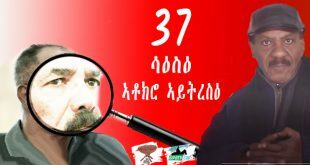 Please…..lets not be negative…we all have single aim, and that aim is not ousting Iseyas……our aim is saving Eritrea from total colapse………please, every body here should clearly understand that……..
anti-national and unproductive political sentiments and parties should vanish for good. May God save Eritrea, the people the land and the sea. Amen! Srhit FORTO mejemerta nay meweda’ata mhxar adme sltan wlqemelaki Eseyasn deqi mezamrtun eyu. Nsom snehasabomn ksab zelewu ke’aa mot, ma’aserti, sdetn hsemn alo. Gn ayknmberkkn ena. Semirna Hah! Hah! nbelom admi’aom kihaxr!!!!!!! I don’t know about the others, but I heard a lot of Mustapha Nurhussein’s misspeakings, disparaging those who stood for democracy in 2001, journalists and govt. officials. According to some accounts, eleven of those 2001 pro-democracy elements died from maltreatment and prison unhealthy conditions. 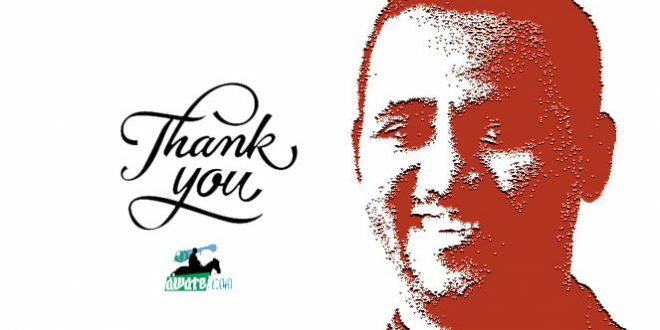 So, it took ELEVEN LIVES AND ELEVEN YEARS for Mustapha Nurhussein to get it about Isayas abusive rule and to open up, clawing out his eyes at Isayas – saying enough is enough. Go for him to reverse his bad history, at long last. The revolution at times consumes its own followers as the saying during the dergue era goes. Isaias eats his comrades one by one as the canibal he is. Who will be the next victim is a certainity, but only time will tell. PFDJ so called beAl siltan cannot even see what is happening around him/her for he/she is blinded by a temporary dlight emenating from greed pralleled only by a hungry hyna. WHO IS THE NEXT MEAL for THE UNSATIABLE DICTATOR? Wedi Afom entekone asbiHka miHrad aygedfon eyu. I agree wit your comment but Gedab new knows they will not jeopardize their safety.don’t worry be happy. Awate-team, let me tell you why you become very reliable news worthy; because you avoided the temptations to be the first one to report and sensationalize any news. Lately, you are burning the mid night oil. Don’t be pressured by the likes of your fev Wiqato, she gossip queen. Take your time and report. I am sure someone is extending the bite hook. I think awate is losing its touch. 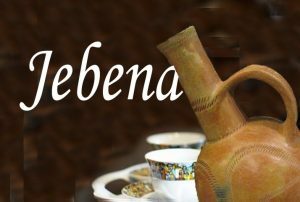 Awate tried to swing a big stick at asena and other eritrean websites just because asena did what it always does very well- inform its listeners in a language they understand. And now look at this give away information- regardless of its accuracy- about the border crossing of some members …. is this not a double standard at its height !!!! alas! Any News about Minister Ali Abdu? Your last line reads, “Some members …….have begun crossing the border to Sudan.” Don’t you think that is a give-away vital info on your part to the regime? I guess, your earlier tensed-up talk with Assenna was a caveat directed to him of a similar effect. Just a thought. Many thanks for those kind words. A+ had always refused to land on my report card as a teen and in my college years as well. But I have always clung to hope a day will come that will seal and deliver A+ to my door steps. You’re very kind. I feel the same. since assena committed that grave mistake i am hammering them everywhere. I gone far just fighting with them. and i hope awate will not do the same. assena was given advice from all of us not to be narrow minded and kill the revolution. i have seen for the first time awate give such clangorous information. i hope the will notice this grave mistake. we are for people and we have been for people not for individuals or sites. by the way i am happy to find the site today. and let me say hey to everybody. Hope we will hear soon from those who crossed the boarder to Sudan.